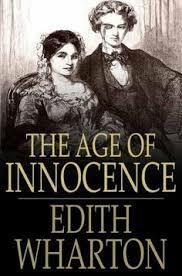 Essays for an Age of Innocence summary discuss the two-part book by Edith Wharton that chronicles the life and love of Newland Archer and May Welland. The Age of Innocence by Edith Wharton is a two-part book that chronicles the life and love of Newland Archer and May Welland, two New York socialites. May’s cousin, the Countess Ellen Olenska, has left her husband in Poland and has come to New York to be with her family. Despite Newland and May announcing their engagement at the time of Ellen’s arrival, the gossip surrounding her has left them in a precarious position. Newland begins to spend time with Ellen, hoping to convince her to refrain from divorcing her husband. He finds her intriguing, a sharp comparison to his fiancée, and begins falling in love with her. He travels to Florida to remove any temptation and asks May to extend their engagement. When she tells him that he can have his freedom if he is in love with someone else, Newland is moved by her kindness and returns home, despite proclaiming his love for Ellen. The second book chronicles the marriage of the young couple; a year later, they are in the midst of their domestic life in a wealthy part of New York. Ellen has since left for Washington, D.C., followed there by Newland after he lied to his wife. Ellen, about to leave the country, promises to stay for Newland as long as they do not have an affair; she does not want to hurt her cousin. He persists for some time, and Ellen ultimate concedes, agreeing to have a one-time tryst with him in the future. Newland prepares to tell May the truth about his feelings, but is stopped when she tells him of her pregnancy and Ellen’s impending departure for Europe. He soon realizes his future with his wife is set in stone. Time passes, and the May and Newland have been married for some time; they have adult children named Dallas and Mary. The now-widowed Newland travels with his son to Paris on a business trip where the two are invited to dinner with Ellen. As they arrive, Newland tells his son to go upstairs to see her without him; he wants their relationship to exist just as it is in his memory, pure and innocent and full of love and adoration. Age of Innocence Analysis - An Age of Innocence Analysis must pay heed to the novel’s predominant theme of the personal struggle between individuality and conforming to social expectations. Edith Wharton's Age of Innocence demonstrates the changing morals and assumptions about New York society in the 1870s. Setting in Ethan Frome - Setting in Ethan Frome term papers examine the New England backdrop for the novella by Edith Wharton. House of Mirth - House of Mirth research papers review the novel by Edith Wharton with the main character Lily Bart. Lily Bart from House of Mirth - Lily Bart of House of Mirth research papers exaine the main character in Edith Wharton's novel on elitism. Symbols in Ethan Frome - Another symbol in Edith Wharton's novel is that Mattie wears red. Setting in House of Mirth - Setting in House of Mirth research papers look at how Edith Wharton uses setting in the novel. Ethan Frome Analysis - An analysis of Ethan Frome should begins by considering the novel’s context. Paper Masters writes custom essays on an Age of Innocence summary and discuss the two-part book by Edith Wharton that chronicles the life and love of Newland Archer and May Welland.